Our torches were not the only lights on Canna. 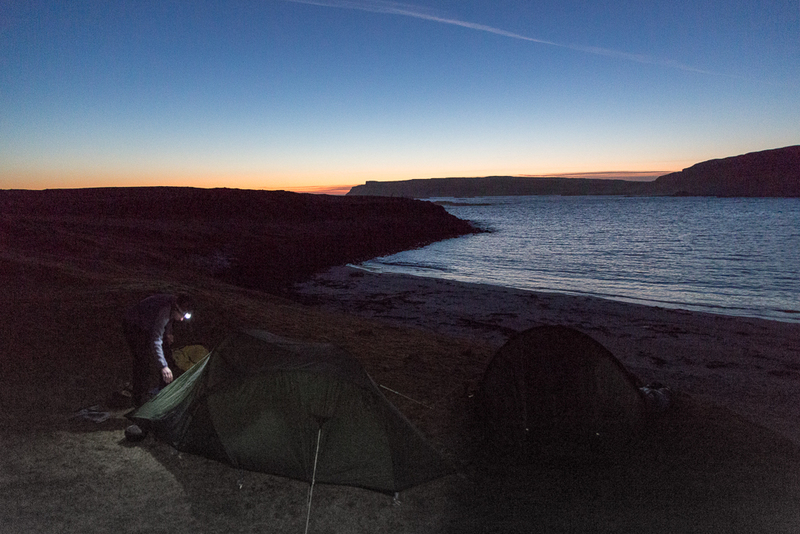 We erected our tents by torchlight on the machair above the beach. 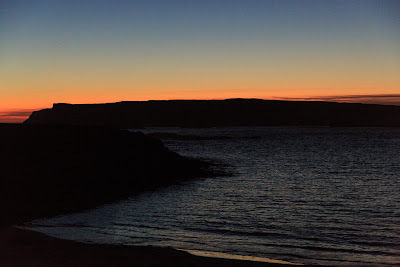 For a long time, a reddish afterglow from the sunset lingered in the west. 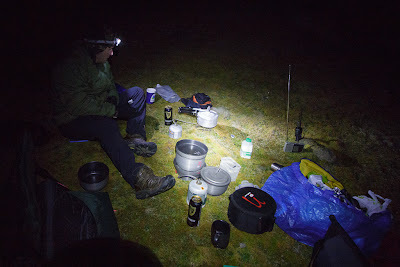 Then we got busy preparing an evening meal of Aberdeen Angus steak mince (made from one bit of steak, from one cow (and absolutely no added horse, or worse), carrots, onions and new potatoes done in the pressure cooker. Guinness proved a most excellent accompanying beverage. 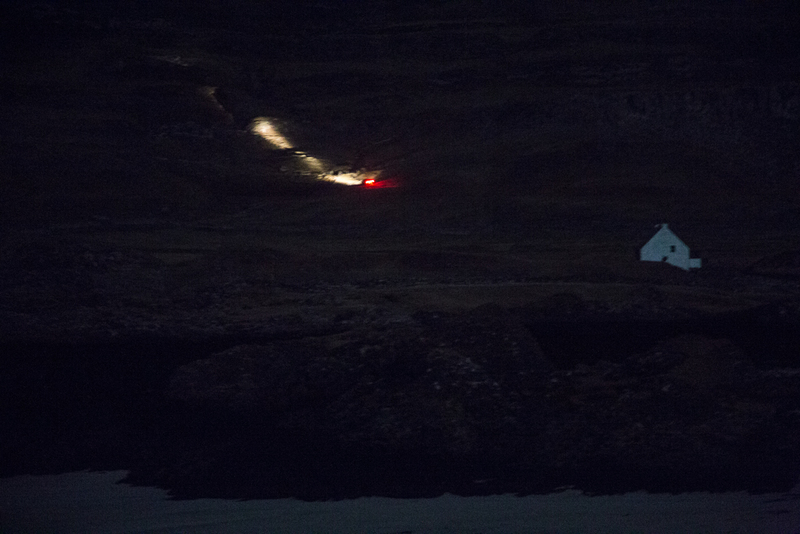 ...the only source of light on Canna and Sanday. 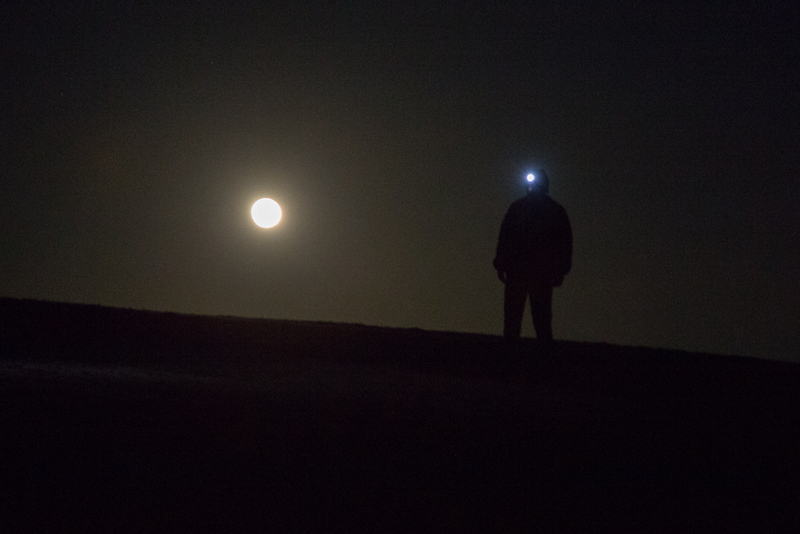 By the time we went to bed, the Moon had risen high in the cold, clear sky and it was almost as bright as day. I awoke with a start at the stroke of midnight. I looked out of the tent and noticed that the south wind had picked up and clouds were spilling through the gaps between the summits of the Cuillin of Rum. 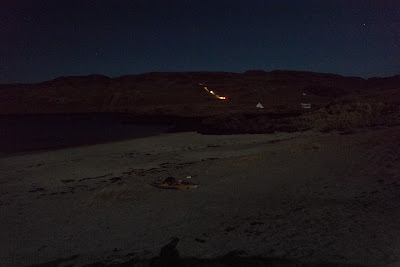 But my attention was drawn by a commotion high on the hillside of Canna. 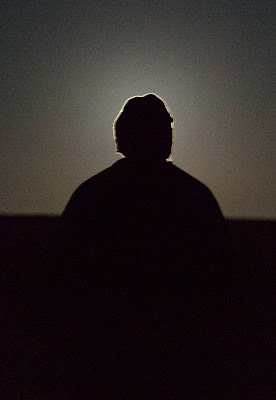 A 4x4 pick up truck was driving over a track and shining a search light round the field. What was going on....?